Four years ago, Cailin Bundrick was a stay-at-home mom on a quest to settle into her new role as a full-time caretaker while also finding a community to plug into along with a little space and time for herself. She joined a local moms group to connect with other stay-at-home moms and decided to start an Origami Owl® business as a fun, side project. It was a chance to get out of the house, help others create “pretty jewelry” and contribute to the household finances. One day, as Cailin attended a regular moms group meetup, she was introduced to Laura, a mom of one, soon to be two. Months later, Laura gave birth to her son, Hunter. Cailin’s daughter, Charlie, was enthralled and quickly took to holding and cuddling him like he was her own baby doll. The two moms and their children spent hours together at the moms group and soon, formed a close bond. When Hunter was 2 years old, Laura took him to the doctor for a checkup. He hadn’t seemed like his cheery self and she suspected an ear infection was to blame. He was snuggling more, often listless or clumsy and seemed to be having trouble sitting up straight in his chair at times. She and her husband, Atom, were preparing for a big trip, so she hoped the visit would bring some resolution. The doctor checked his ears and found nothing wrong. He began asking more questions. That’s when Laura’s instincts took over and she knew something was terribly wrong. The doctors immediately sent the pair to Seattle Children’s Hospital to get a more precise checkup, and a CT scan confirmed what they never imagined: their little boy had a brain tumor. They had no time to adjust to the news. There was fluid buildup on his brain and it needed to be drained immediately to save his life. Cailin admits that when she heard the news, she was devastated and unsure of what to do. 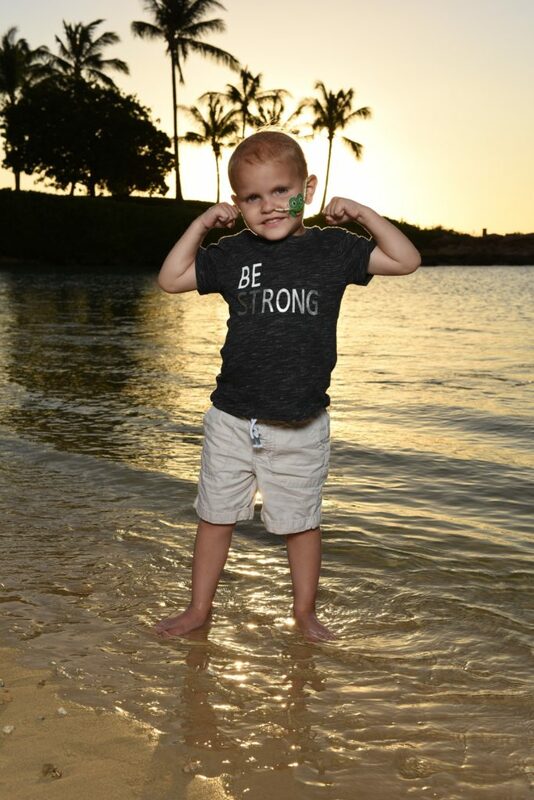 This became the common thread for Cailin as Hunter valiantly fought his battle against Medulloblastoma. 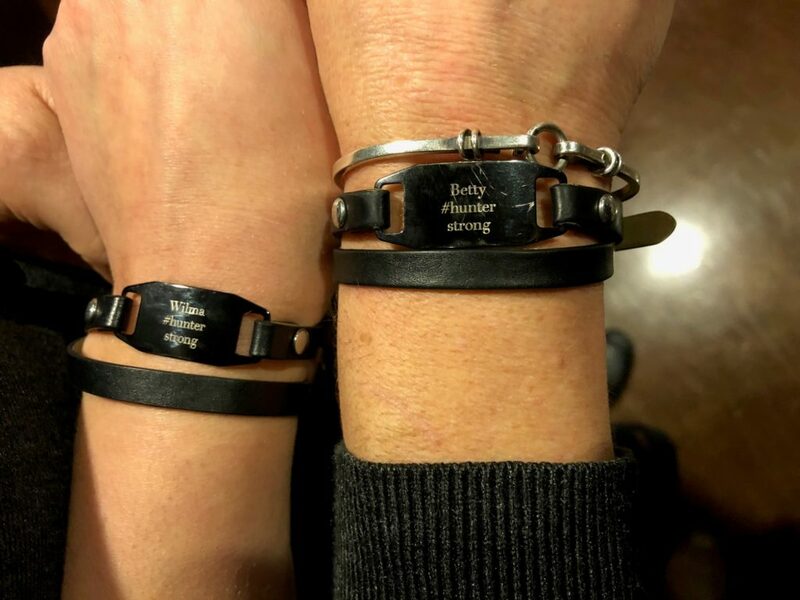 As Laura focused all her energies on Hunter, exploring medical trials that weren’t covered by insurance and staying by his side every moment of the day, Cailin continued reaching out. There were moments when she wasn’t sure if she was helping or bothering, but a simple touch base with Laura would confirm that her text messages and small gestures went a long way. Still, Cailin knew she wanted to do something tangible to help. She decided to put two Origami Owl Living Locket® gift sets together and hold a raffle through her Facebook page. The raffle raised $600. A year after his initial diagnosis, Hunter was declared “cancer-free.” The tumor had been removed and the treatments had been successful. Now the family could try to resume life and simply return to the doctors for follow up scans to ensure the cancer wasn’t coming back. The transition wasn’t an easy one. As they spent more time together and their friendship grew, Cailin listened and watched as Laura took Hunter for his follow up scans. The second one? Still cancer-free. Unfortunately, it was the third follow up that confirmed their greatest fears: the cancer was back, and it was aggressive. With all existing treatments already exhausted, Laura and Atom’s only option was to look for more medical trials to try to help their son. Knowing the hospital bills were mounting, Cailin and a few of the moms pulled together a fundraiser to get as much together as they could to help the family. 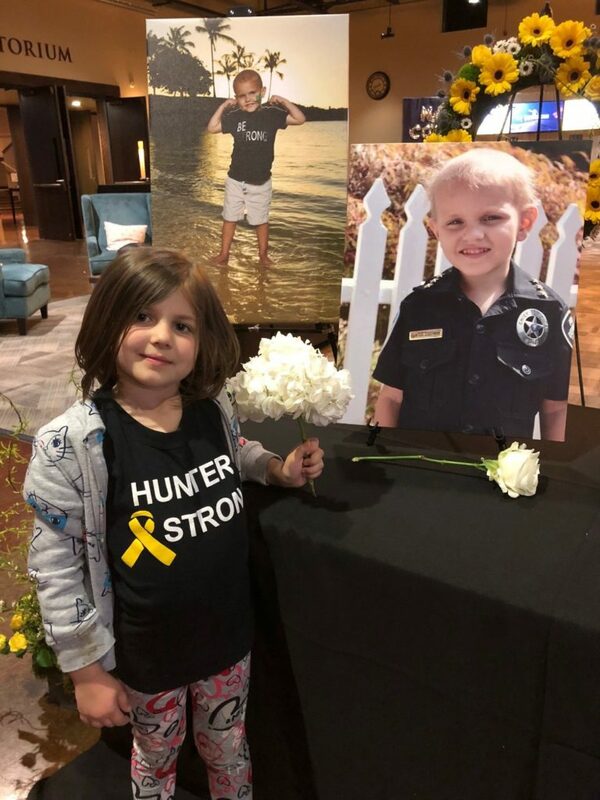 From vendors selling skincare to her own Origami Owl jewelry, the donations, raffles and silent auctions racked up more than $10,000 as part of the “Hunter’s Helpers” fundraiser to support the family. They presented the family with an oversized check and hoped the money would lead to a life-saving medical trial to help the little boy. In March of 2018, after a two-year battle, 4-year-old Hunter passed away. The community, which had rallied around the family, gathered to honor the boy. His celebration of life was complete with local police officers, a helicopter fly-over and a touching video tribute put together by his father, Atom. Six months later, the community still hosts fundraisers to honor Hunter’s legacy. “Hunter Strong” signs still adorn businesses in the community. A dedicated trailer called “Hunter’s Helping Hands” often shows up in different parts of the community to raise money for other kids in need. Laura, Atom and Hunter’s brother, Chase, often attend to support childhood causes. Laura has now made it her mission to be a grief advocate to help others who have lost loved ones. Through all the trials of the past two years, Cailin says she’s been inspired by the family and grateful to have had a chance to support them.